The MI-ASM proudly supports student chapters and clubs at colleges and universities throughout Michigan. 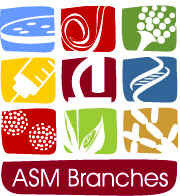 The branch supports these student organizations financially and provides leadership and mentoring to create the next generation of microbiologists. Please click on the individual clubs and chapters to visit their web sites. Instructions to become a student chapter (link).